The items featured in this section are being sold by the artisans themselves. Please pay by check or money order, made out in the name of the artisan who created the piece you are buying. 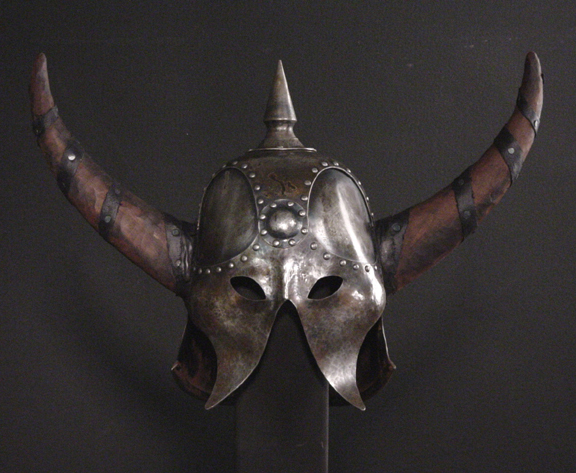 This is Lars' latest commission piece - hand-made from bronze with real horns and an articulated neck-guard. "Wow Lars! It's right out of a Frazetta painting. 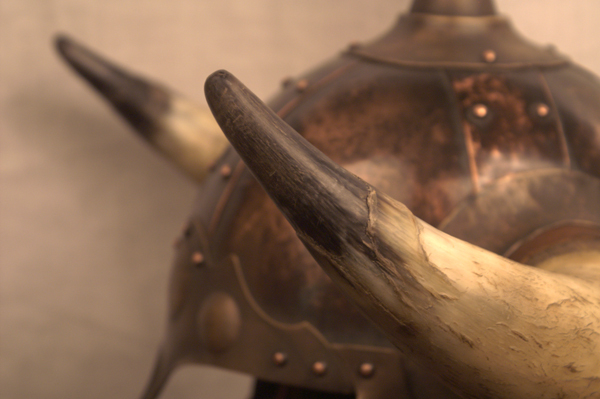 Forged during the Hyborian Age! 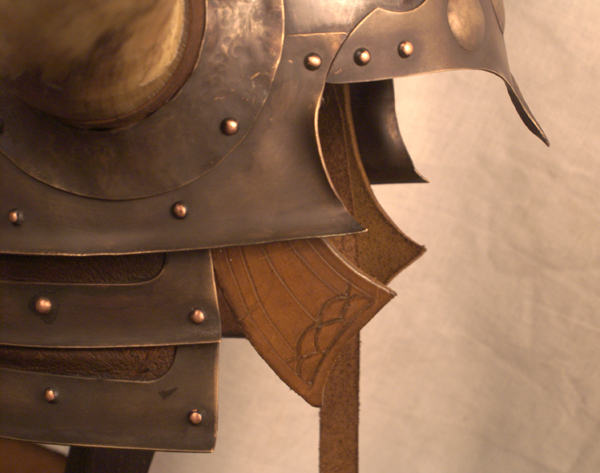 The artistry and craftsmanship are simply fantastic! 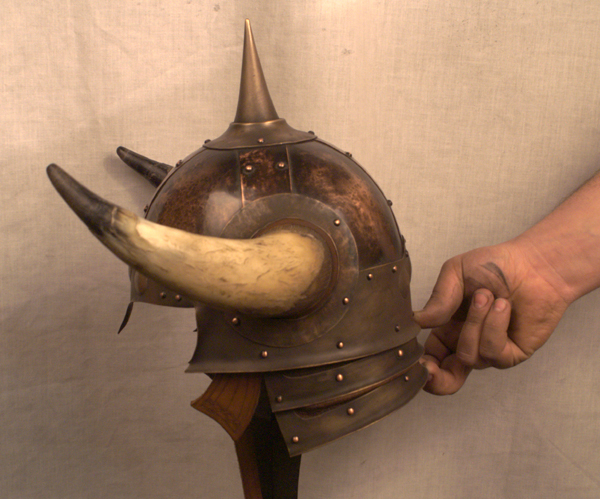 The planishing, the weathering of the bronze, the horns, the spike, the back folds, leather detail, etc. 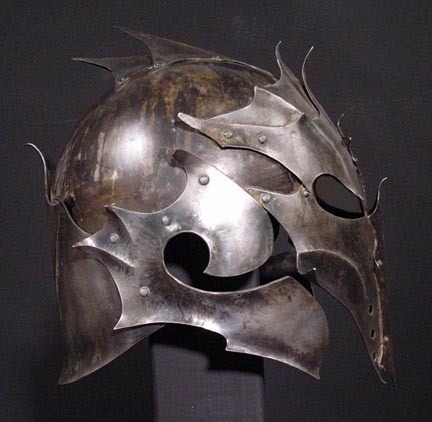 are all what I was looking for. 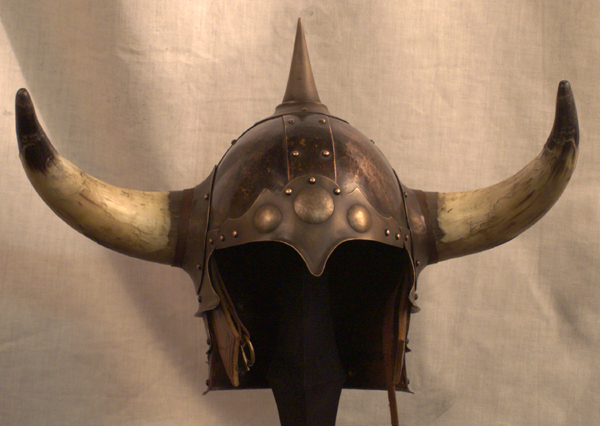 No better helm could go with the Conan Sword. I hope you are also pleased with this one. Can't wait to put it on!" 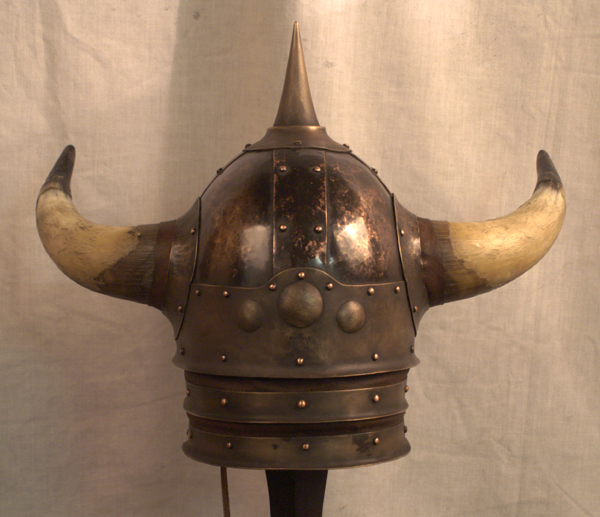 The design of this helm is a collaboration between Leif and Lars Hansen. 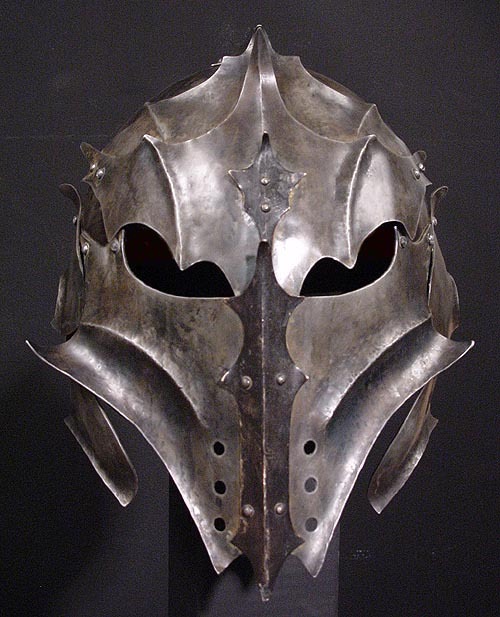 It is made up of mainly 16 gauge steel. 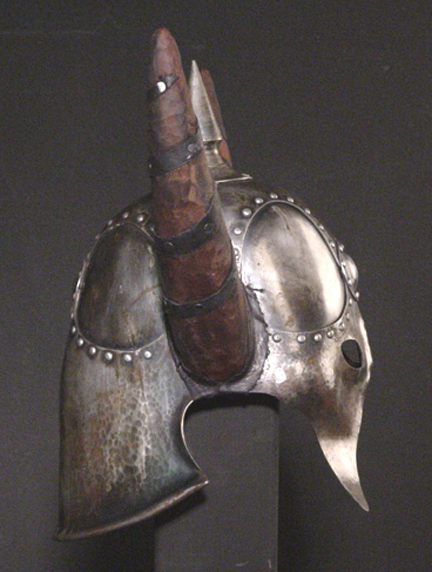 The forehead plates and fins on the top are of 18 gauge steel, and the nose guard is of 18 gauge bronze and chemically darkened. 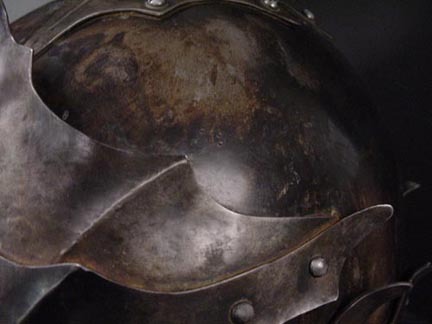 The helm comes with a chin strap with hand-forged buckle and a padded leather suspension. 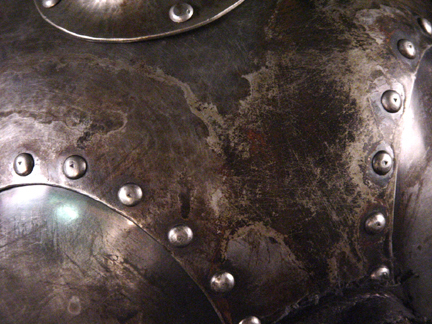 The cheek pieces, as well as the front and back plates, are covered with leather on the inside. 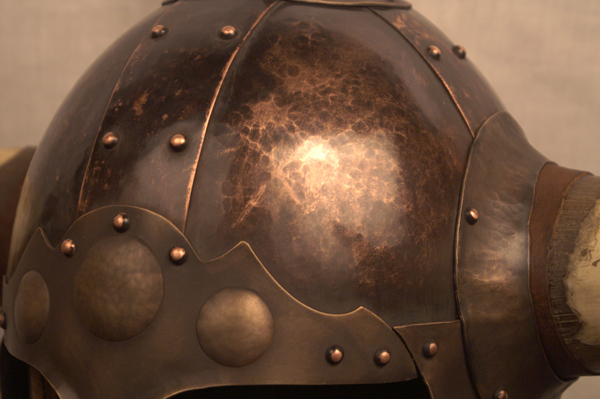 The entire helm has been coated in Trewax clear paste wax for protection against rust. 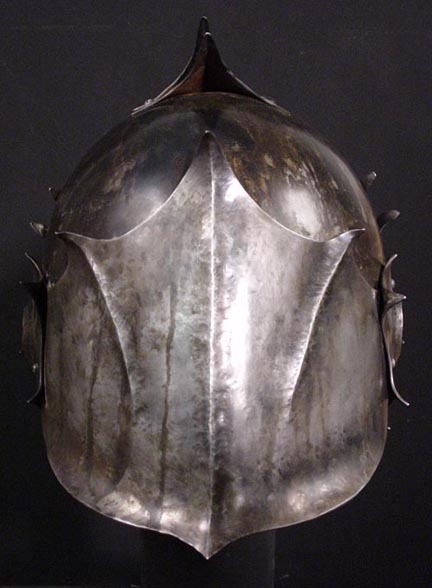 Fits up to a 25" head. This is a limited edition of 5 and comes with a certificate of authenticity signed and numbered by its creator. 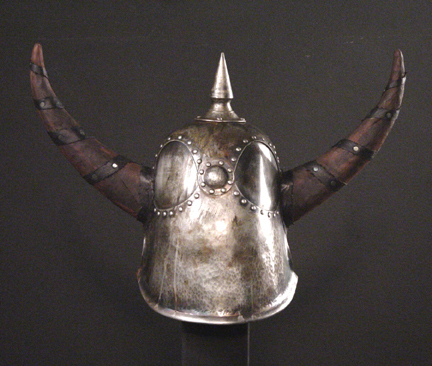 Advance reservations are being taken -- a non-refundable deposit of $500 is required to reserve your helm.